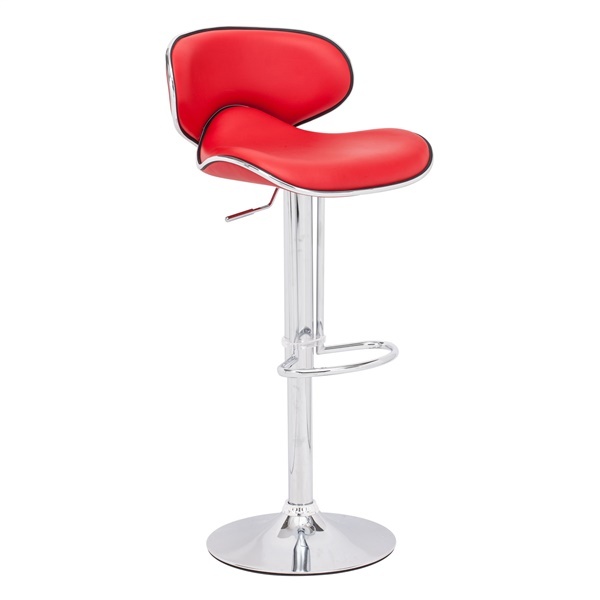 The Fly Bar Stool has a sleek modern look that makes an excellent addition to any contemporary table or counter area. Leatherette combines with a steel frame for a chic and streamned look. The Fly Bar Stool's seat height is adjustable, enabng you to customize the height to best work with your own table or counter.